Chino Chinatown to be Open for Lunch and Brunch Service! Chino Chinatown, the newest restaurant concept to hit Trinity Groves, will begin serving lunch on Monday, February 3. The new lunch menu features Bento Bowls (steamed rice, woked vegetables and your choice of meat), Fajita Steak Drunken Noodles, Duck Fat Fried Rice, Phozole, salads and more. 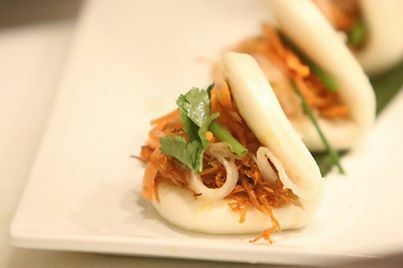 Beginning Sunday, February 9, Chino is thrilled to offer Dallas’ only Dim Sum Brunch. Diners will be able to choose from various small plates served dim sum-style including Steamed Buns, Barbacoa Steam Dumplings, Chorizo Eggrolls and more. A special brunch cocktail menu, designed by Ian Reilly (The People’s Last Stand, Bowl & Barrel), will also be available. It includes the Coconut Horchata Fizz (Death’s Door Gin, lemon, egg, coconut horchata, ginger, jasmine), Chingelada (Modelo Especial, lime, cobra blood) and more. Next Next post: Where to get Valentine’s Day Sweets in Dallas!